Tonight, you lost. Tournament semi-finals in the balance, with the buzzer only seconds away, and the shot yours to take…you missed. That moment of glory you’ve spent hours practicing for, both on the ice and in the basement, taking thousands of shots at the net, vanished, never coming to fruition. I felt your heart break from the stands where I sat watching…where I always watch. Win or lose, I always will. It was palpable, the weight of your sadness, your disappointment, your guilt as you skated off the ice. I saw it in your eyes as you looked up from the bench on your way to the locker room, and even as I told you that it was ok, I knew you weren’t even close to okay. I felt it in your hug after, in the way you held on and didn’t let go. It was a monumental moment in your life because it didn’t happen. Because everything you’d been taught about hard work paying off, about practice making perfect, didn’t give you the trophy like it does in the movies. This moment, my beautiful boy—this hard, painful, disillusioning moment is why I put you in hockey. First, I’m so sorry. I see how hard you practice. I know you fight, work, and claw for every ounce of skill you’ve developed. Your work ethic is something both dad and I are flat-out inspired by. You are driven in ways that humble me, that show me it’s not always about some golden touch of talent, but sheer force of will. And your will so strong. Second, even though I’m sorry it happened, I’m also glad. Hear me out. You were three the first time you saw your big brothers skate. Four when you stepped out on the ice for yourself after a year of begging. It was not love at first sight. In fact, you glared at me through the glass through your first lesson. But holy crap, did you show up for the second, with a trademark look of determination on your face. We put you in hockey because you asked. We kept you in because you fell head over heels for a sport that would soon become part of who you are all the way to your toes. Ready to be stunned? We didn’t put you into sports so you’d win trophies, or championships, though you’ve done both more than a few times. I know it seems commonplace to you, but state championships are rare, and the fact that you’ve won two is something you’ll look back on with a sense of awe that you just can’t comprehend right now. We didn’t put you into sports so you’d get a college scholarship, or have a chance at going pro. We didn’t put you into sports so we could live vicariously through you, either. Trust me, showing up to the rink at 5 a.m. is not our idea of fun. Sleeping is our idea of fun. 1. We wanted you to learn to listen to someone else besides us. Aka… your coach. One day you’ll leave our house (at least I hope you will) and you’ll need to listen to people in places of responsibility without me there to buffer for you. Your professors, your bosses. Your wife. totally kidding. Kind of. 2. We wanted you to learn how to work with others- teamwork. Yes you have a ton of brothers and a couple sisters, but the camaraderie you develop on a team can’t be duplicated. Add to that the nine-months-a-year you spend together and you’ll know why we call our team our hockey family. Hockey is a weird, abnormally long season that seems to stretch year-round lately. We also love the years when birthdays align and your teamwork includes your little brother. 3. We wanted you to understand hard work and goals. No, not just the ones on the scoreboard, but the ones measured in the speed you cross the blue line, the perfected pass, the number of assists you have. We needed you to find joy in the work, and the payoff, to know that hard work isn’t all pain, but a hefty amount of happiness, too. 4. We put you in sports so you could lose. Stay with me here. You are a beautiful, brilliant kid. You’re going to change this world as you grow to a man, I have no doubt. But part of manhood is understanding loss. Channeling it. Choosing how it will change you, or if you’ll even let it. Your dad is big, tall, strong guy, and you will be, too. The last thing I want is for you to be that big, that strong, and undefeated. Because it’s the strength that truly matters—strength of heart, that develops from the losses. Wins are easy. Wins let you strut away, let your ego grow, let you grow complacent in what you find to be awesomeness. I’ll always high-five you after the win. Always tell you how proud of you I am. How much I love watching you play. I’ll always do the same when you lose. Losses are where the growth occurs. Losses are where you learn. Where you examine what went wrong. Where you figure out what went right, and how to duplicate it. Where you learn how to accept the things you could have done better, make peace with yourself, and then fight to improve. Oh, my boy, the losses are so much more important than the wins. And they hurt. I know they hurt. And I hurt for you. I hate that life won’t always hand you the trophy. I hate that it won’t always be easy. You won’t always be the most talented on the ice, the field, the court. But good God am I proud that you’re always the most determined. There’s nothing to be embarrassed or ashamed of when the scoreboard doesn’t go your way—not as long as you left it all out there and gave it every ounce you had. In all honesty, I’m prouder of you in the moments it doesn’t, and you still hold your head high, still say, “good game,” and look the opposing players in the eye. Prouder still of the way you attack the next practice, whether it’s on the ice, or in the basement. Proud of the way you don’t give up. I’ve said this a million times: I’m raising good men who might play hockey, not hockey players who might be good men. And I know it doesn’t feel like it right now, but this moment is helping to carve you into that man. The one who understands pain, and loss, and determination. The one who knows how to cope with the inevitable disappointment life will throw your way. The one who will work harder, and be even more grateful for the next win. The one who still finds joy when others can’t. My boy, I’m so sorry you lost. Sorry that your heart hurts. Sorry that your moment slipped through your fingers. But I’m not sorry about the man you’re becoming because of it. 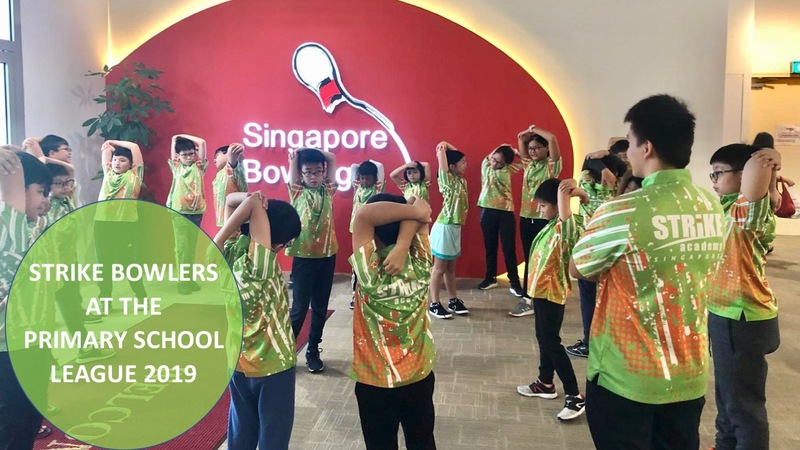 STRIKE Academy is A premier bowling academy in Singapore that conducts regular bowling classes for kids, beginners, school team, competitive bowler, all the way through to the National Youth Development Squad. 16-30: 51st Singapore International Open. Medical Certificates need to be provided for any medical excuses for any withdrawal less than 24 hours. Notice must be received BEFORE start of class. 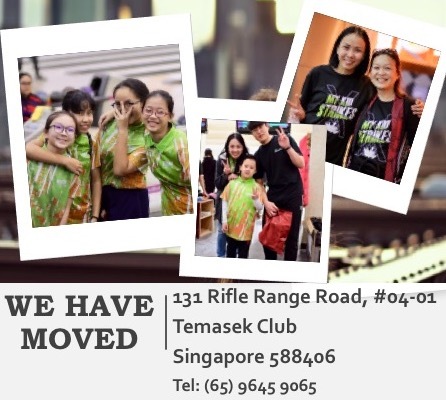 If no suitable replacement is available/provided, the missed lesson will be forfeited. Annual membership fee is payable in January each year for the whole year. Membership for students who join anytime within the year will be valid until end of the current year. STRIKE reserves the right to make, amend, vary, add to or remove policies that the management deems necessary for the smooth and practical running of operations and conduct of lessons.